Many college students hate writing various academic papers, but out of all, they hate essay the most because of the complexity it holds. They have to write various kinds of essays on different subjects. Working on essays can be fun, but when they have to write different types of essays, they get confused and end up writing each of them in the similar format. So, to overcome this serious issue, our writers of essay writing service have enlisted different types of essays along with the tips to write each of them with perfection. So, have a look at them. An expository essay is the type of essay that is written to explain or provide descriptive information to readers on a subject matter. It is normally referred to as a five paragraph essay: introduction, three paragraphs in the main body, and the conclusion. Being a college student, you will be frequently asked by your professor to write it. So, you must know the best ways to work on it. Do deep research while going through various resources. Explain various arguments in the body paragraphs. Never forget to proofread before submission. Through a descriptive essay, writer uses a point of view to tell the story to the readers. It is an effective way used by the author to share his own experience or any story. In short, it is written to describe anything whether it is about a person, place, thing, or experience. Professors often assign it and scholars fail to write most of the times. One of the key ways to write a descriptive essay is by creating a picture in the readers' mind. A few more steps can make it more wonderful. Have a look. Choose a topic that makes sense. List out the senses that you will relate with the topic you're writing about. Write an introductory paragraph to set your topic framework. Present a concise but impactful conclusion. Review your essay to avoid any mistake. A narrative essay is a type of essay which has only a single motive or aim. The whole essay will revolve around a central point. All incidents, happenings, and characters revolve around one idea or concept. A narrative essay is all about describing various things that the writer has gone through his life. You have to develop a creative approach to write it. Know how you can make it better. Choose a topic that sounds like a story. Highlight the most crucial moments. In comparative essay, writer has to come to a conclusion or to judge subjects on the basis of similarities and differences between each other. So, it is the one in which the author has to compare two things that have something in common whether in terms of similarities or differences. Have a look at how you can write it better when you're asked to write it by your professor. Write the body paragraphs in the beginning. Present the conclusion in the middle. Write the introduction at the last. Revise and edit your writing. An argumentative essay is the type of essay that discusses the both sides of the subject matter. Either both faces are treated equally, or it could be presented in someone's favor. It all depends upon the writer which one he wants to support the most. The general tips to write it are described below. Do a thorough research of the topic. Give a strong conclusion to the readers. 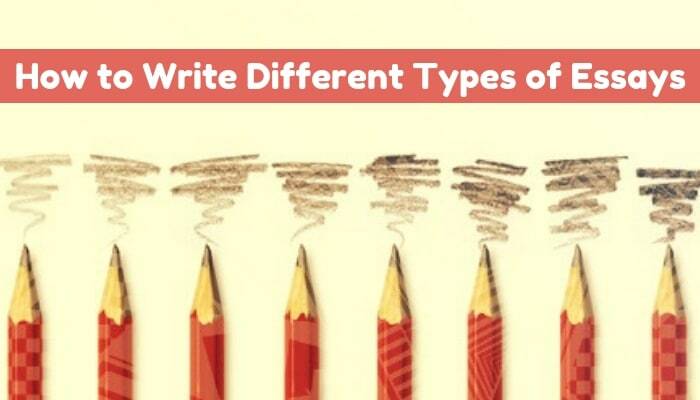 During your academic career, you have to write different types of essays. So, the above-mentioned tips will undoubtedly help you from getting confused between each of them as well as assist you how to write them effectively.